For those who love setting off on adventures, this book takes us into the mystical realm of Shangri-La. For those who watched Netflix’s “The Iron Fist,” this is the book that is the original background to where the story of Danny Rand began, deep in the Himalayan mountains, saved by monks. 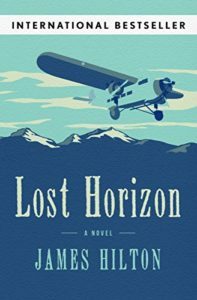 Rand’s back story is based on the original tale from “Lost Horizon” of a plane stolen and flown deep into the Himalayas where a group of monks finds the passengers and invites them into their monastery, a place like no other. When having to choose between staying in paradise, living a very long life with access to knowledge beyond imagination or going back to Western Civilization, which would you choose? That life of unhappiness out in the real world, or a long lifetime of peace and tranquility living in the most beautiful place on the planet?